Photos of various art shows and plein air outings. Please scroll down. Getting ready for the November 2017 Studio Tour and Art Market sponsored by the Plano Art Association. 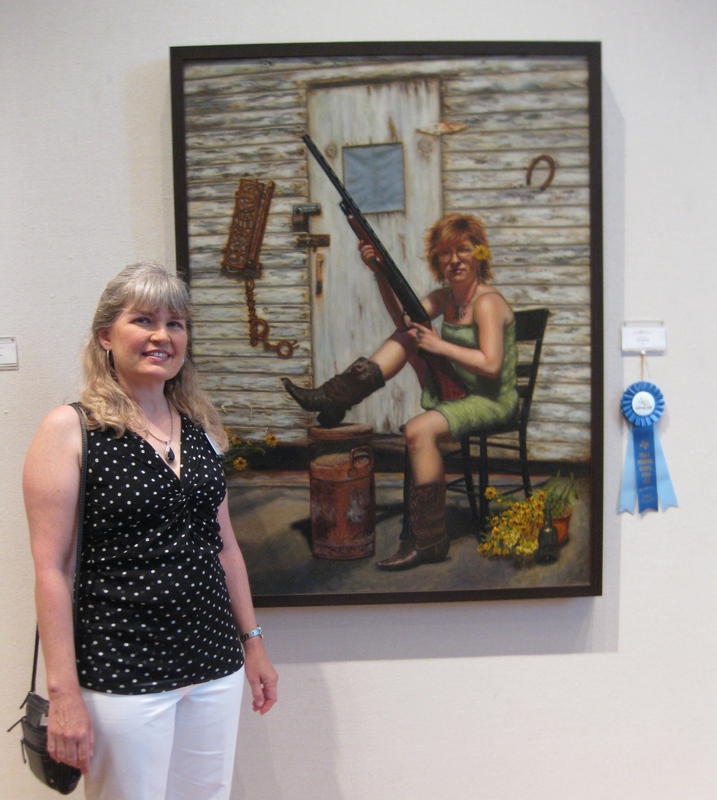 April 2015: I'm happy to announce The Guardian won First Place in Oils at the Texas & Neighbors Regional Art Exhibition held annually at the Irving Arts Center, Irving, TX. 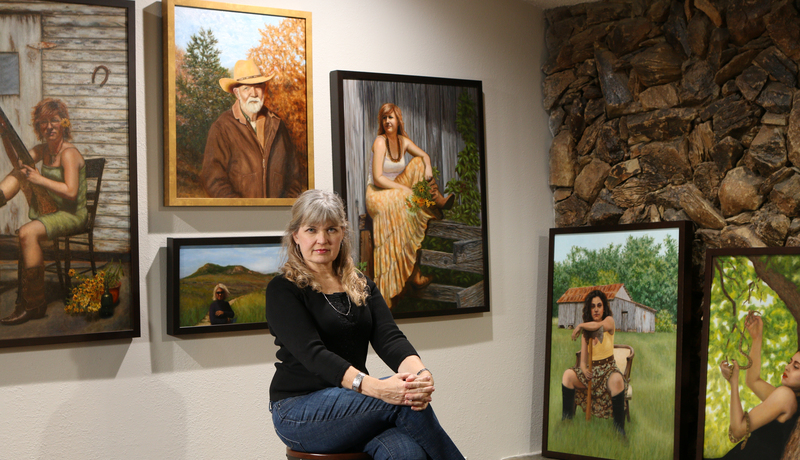 This competition is open to artists living in Texas, New Mexico, Oklahoma, Arkansas and Louisiana. Julie painting at Estes Park, Colorado, and painting in Florence, Italy, 2014. The model Shahen and the Portrait of Shahen at Artist Eye Gallery, Laguna Beach, Calif, 2010. Julie with her monochromatic paintings at Artist Eye Gallery in Laguna Beach during Featured Artist Show, 2009.